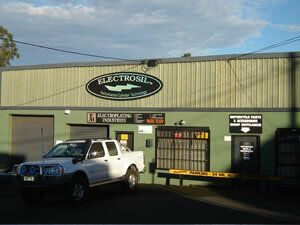 LM Electroplating Industries was established in Melbourne in 1965 to offer a complete service to the growing electroplating requirements within Australia. Most of the work carried out in those days was chrome and nickel plating onto various substrates. In the early 90's after many years experience servicing the engineering, aerospace and public sector, the company decided to investigate the processes involved in coating engine cylinders. Eight years of research and development resulted in a chemical coating technology we call Electrosil being released to the market in 1999. Over the years we have worked on all types of cylinders and testing programs and we are proud to be the only Australian owned and operated company to develop a cylinder coating technology from the ground up. We are a corporate member of the AISF & NASF. All work is carried out to the required Mil Spec/ASTM where required.